Disclaimer: the products I listed here have been well used by me, and I can only wish the companies I mentioned would send me free stuff. Unfortunately, they didn’t. So I got this as a gift, but really any slimmer briefcase (keep it under 4 inches thick) will do. The key is to keep it lean and clear it out regularly. There’s pockets to stuff receipts in, keep your laptop safe, carry around a basic notebook, and keep pens and business cards at hand. I know many of you out there might be tempted to get a backpack, but keep it classy and minimalist; bigger bags just beg for more random crud to be packed, which I’m sure you’ll never use. I splurged to get the version back in ‘04, and this one is the updated one. In spite of a few nicks and scratches, it absolutely gets the job done in nearly any situation! 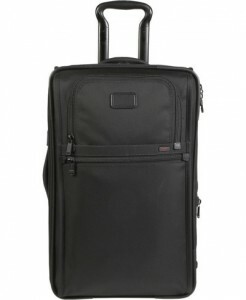 Vacations, business trips, and in between, the key thing is that it’s got some expandability, good internal straps to secure sensitive items like a bottle of wine, and a suit storage area that folds up and keeps your jacket and pants neat and generally wrinkle-free. *zipper sandwich bags – get ‘em anywhere, but keep 2 or 3 tucked inside. It takes no space but will keep you out of the doghouse…er, TSA exam room when it comes to liquids and etc. *gadget organizers – This product is relatively new, but keeping everything packed as flat as possible gives you a lot of flexibility to layer stuff and compress things in your bag. 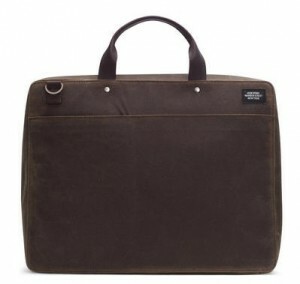 *clothes folder – This will keep your shirts’ and pants’ creases neat while you’re running around. Why iron when you can let pressure do the same thing for you? And the general rule of thumb is this: no matter what, only bring what you can stuff under the seat in front of you and in the overhead bin above you (assuming you’re on an airplane, but the same rule applies for trains and car rentals). Checking in luggage wastes time that you don’t have, and the last thing you need is to envy the fact that your bags made it accidentally to Miami, FL while you’re stuck in Minneapolis, MN!